After only three seasons, League1 Ontario has had a remarkable number of players showcased in this Division III standards-based league move on to fully professional environments around the globe. 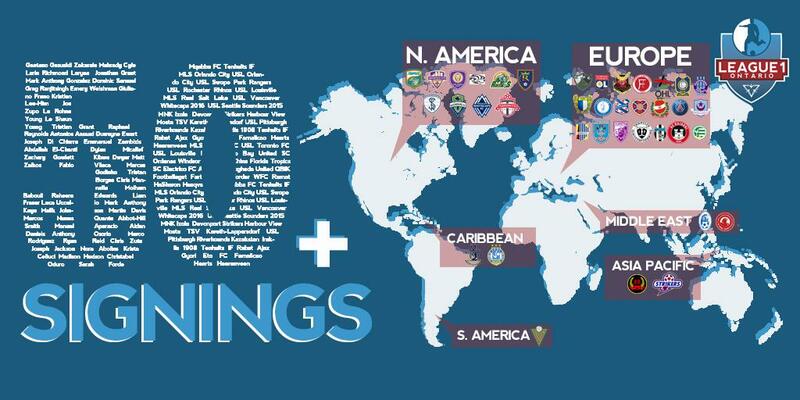 At time of press, 53 players have left their League1 sides for professional clubs elsewhere in North America, South America, Caribbean, Europe and the Asia-Pacific region. This group is comprised of 46 men and seven women (a full list is available for download at the base of the page). "From the outset, our goal has been to provide a stage for Ontario's top footballers, male and female, to test themselves against strong competition and to showcase these athletes with the hope of seeing our top performers advance onto a higher level of play," said League1 Commissioner, Dino Rossi Jnr. Designed to be a showcase environment for elite Ontario players - primarily targeting the U23 set - League1's mandate to provide a high-level, standards-based, pro-am environment that provides exposure to the best senior level talent in the province has already had exceptional results. In addition to the 53 players who have graduated to the professional ranks, 49 current and alumni League1 players suited up for Canada at the international level in 2016. Meanwhile, well over 100 players have received offers and moved on to represent top NCAA and CIS schools. Many of these players, both men and women, have already made a significant impact during their time in post-secondary American play. A large number were recognized as among the top performers for Canadian colleges and universities too - both in men's and women's regular season and playoffs. Whether making the leap from youth development to senior competition, chasing university and college scholarships, navigating early stages of a professional career, or as a high-level environment for the late-stage professional looking to mentor the next generation - League1 Ontario has become a successful springboard to the next level. "In addition to providing the best level of competition possible, we place great emphasis on providing our clubs and their athletes with important resources, like extensive video archives and access to national team and professional club scouts," added Rossi. "The purpose is that they have the resources they need to pursue their ambitions of playing this game at the highest level that their talent and desire will take them." "It is our intent to provide our players even more tools and resources in the coming years that will help give them even more exposure, which we hope will provide even more advancement opportunities." Several former League1 Ontario players have enjoyed remarkable achievements since moving into professional environments. Sigma FC has produced two players (Cyle Larin, 2015; Richmond Laryea, 2016), that were selected in the first round of the Major League Soccer SuperDraft and signed to very desirable "Generation Adidas" contracts. Larin was named the 2015 MLS Rookie Of The Year after his first season at the highest level in North America, and has become a key player for Canada's Men's National Team. 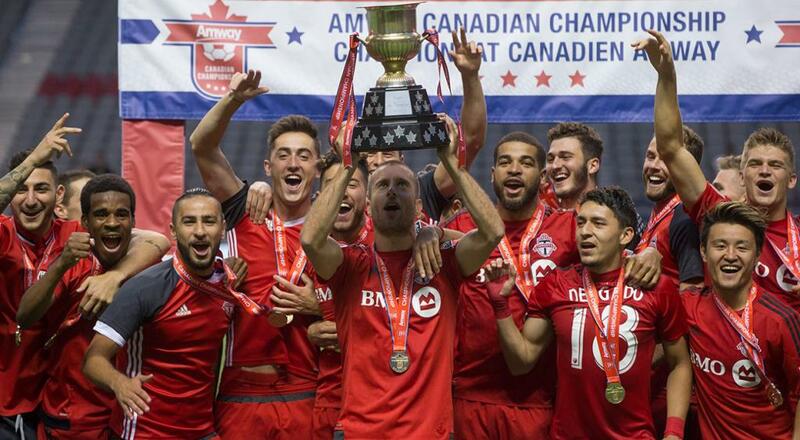 Molham Babouli has progressed from being named MVP of League1 Ontario in 2014 after leading his Toronto FC III squad to the league title that season, to playing an important role in Toronto FC's exciting 2016 season, helping the club capture the Amway Canadian Championship as well as making a thrilling run to the MLS Cup final. In 2016, he was joined on the TFC first team roster by fellow League1 alumni Chris Mannella and Raheem Edwards. Elsewhere in the MLS, Sigma alumni Emery Welshman was signed by Real Salt Lake, while in the USL Mark Anthony Gonzalez made an impression for Swope Park Rangers and Greg Ranjitsingh starred for Lousiville City. 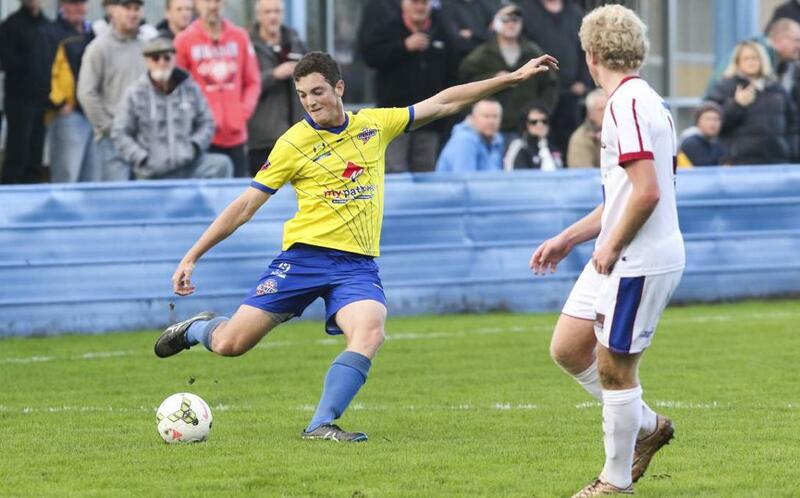 Australia has been a popular destination for several former League1 grads, with two Durham players (Joe Zupo, Raphael Reynolds) and one Sanjaxx player (Matt Zaikos) having inked deals with Devonport City Strikers - champions of the Australian second division (Tasmanian region) - in 2016. Scandinavia has proven to be a welcoming home for several women's players. 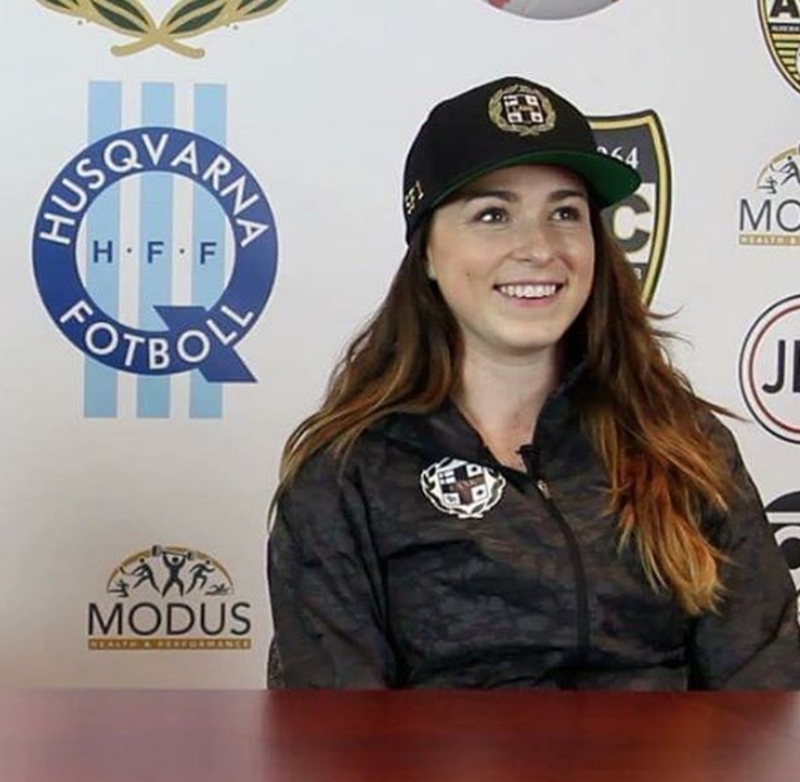 Nora Abolins, the 2015 Women's MVP and Goalkeeper of the Year, enjoyed a successful debut season in Sweden in 2016 and has just signed with a highly regarded Ostersunds DFF squad for 2017. 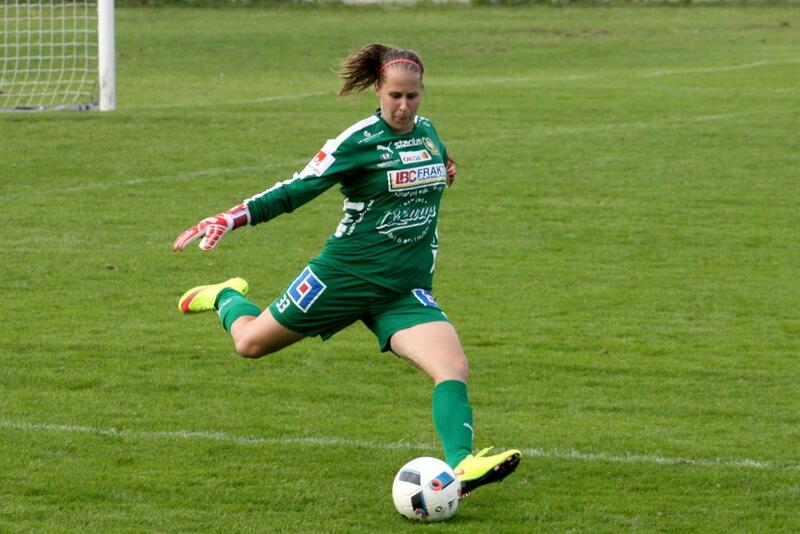 Woodbridge Strikers GK Sarah Forde also enjoyed a solid 2016 season with Swedish side Husqvarna FF. League1 even had the privilege of hosting two international stars in the women's game this past summer, with Kadeisha Buchanan and Ashley Lawrence suiting up for the Vaughan Azzurri in regular season play as preparation for the 2016 Rio Olympics. Both players recently had significant milestones in their careers, with Lawrence signing for Paris St. Germain, and Buchanan winning the prestigious Mac Hermann award - designating the top women's player in the NCAA - before signing on with Olympique Lyonnais. "Football is a global sport so it is both gratifying and exciting to see so many League1 Ontario graduates move on to professional opportunities both in North America and abroad," said Rossi. "We are committed to providing more opportunities for Ontario's best, and even top talent from other parts of Canada for that matter, to shine and be identified."